This 22 oz. 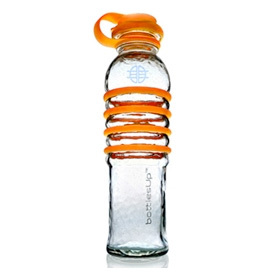 eco-friendly recycled glass water bottle truly stands on its own. It has the lowest carbon footprint of any water bottle in the industry, is 100% sourced in North America, and every order is delivered in environmentally responsible and minimal packaging that you can easily recycle.